Following an injury to Luke Rockhold, the UFC 230 co-main event has been shuffled with Chris Weidman now expected to meet Ronaldo 'Jacare' Souza on Nov. 3 in New York. Following an injury to Luke Rockhold, the UFC 230 co-main event has been shuffled with Chris Weidman now expected to meet Ronaldo ‘Jacare’ Souza on Nov. 3 in New York. UFC president Dana White announced the fight via ESPN with additional sources confirmed the matchup as in the works after the injury suffered to Rockhold. Souza was already on the card in a middleweight bout against David Branch but now the submission specialist will get a bump up to face a former champion in Weidman. 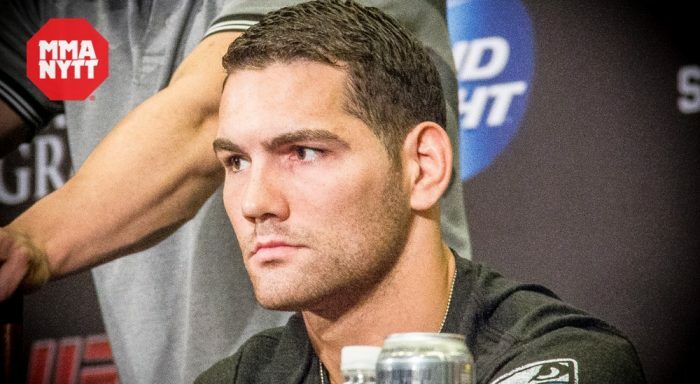 Weidman was obviously looking forward to a chance at avenging a prior loss to Rockhold but now he’ll face Souza instead. As for Branch, he’s expected to stay on the card in a middleweight bout against Jared Cannonier, although that fight hasn’t been finalized just yet. It’s been a tumultuous couple of weeks for the UFC 230 fight card with a main event named just last week with heavyweight champion Daniel Cormier taking on Derrick Lewis. Meanwhile, the original co-main event was scrapped after Dustin Poirier suffered an injury that knocked him out of his fight against Nate Diaz. Now the revolving door has led to Weidman vs. Souza as the co-main event for the UFC’s return to Madison Square Garden on Nov. 3.